Valspar Low VOC system provides an environmentally friendly and economical solution. The LVBR100 Low VOC Basecoat Series is an Economical friendly, high performance solvent basecoat featuring outstanding dry times, excellent metallic control and optimum reparability. Note: If basecoat is allowed to dry more than 48 hours before clearcoating, scuff and respray basecoat. Pot Life: @ 77ºF (25ºC) - When properly covered, LVBR100 Series Base will maintain a sprayable viscosity indefinitely. With HPC2, 2 hour pot life. 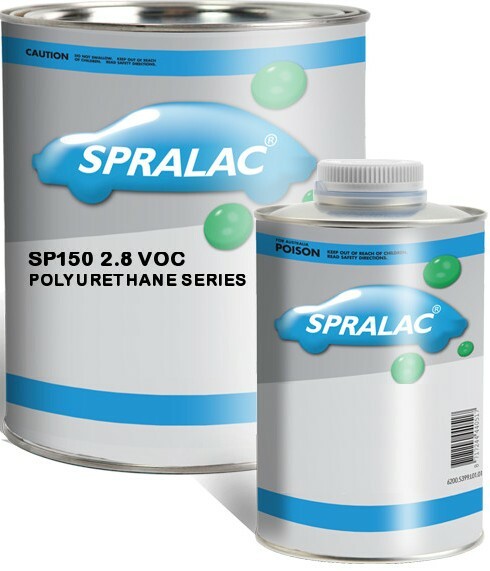 Valspar SPRALAC (SP150) is a cost effective polyurethane enamel to give outstanding gloss, depth, chemical resistance, and durability.